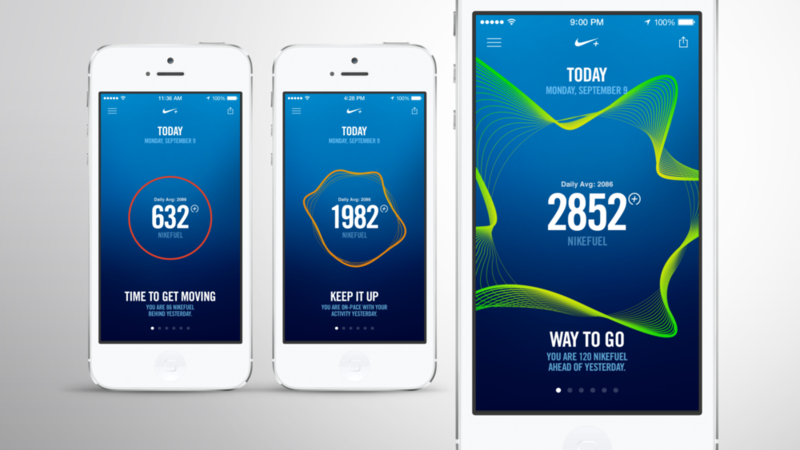 Nike+ Move helps you understand how, when and where you move on your iPhone 5S. The rapidly smarter devices we carry with us are capable of listening to and observing our behavior, thereby learning about us. They have the potential to give us valuable insight about ourselves and positively affect our behavior. 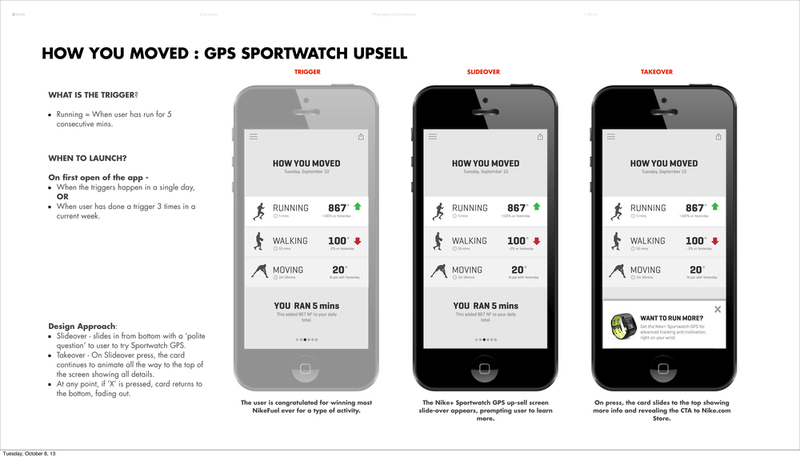 By gathering data about our activity in the background (using iPhone5S M7 processor), Nike+ Move was designed to keep users moving more and moving better. The start screen was designed to keep you moving. It visualized your movement in real-time and correlated it to NikeFuel as you moved. 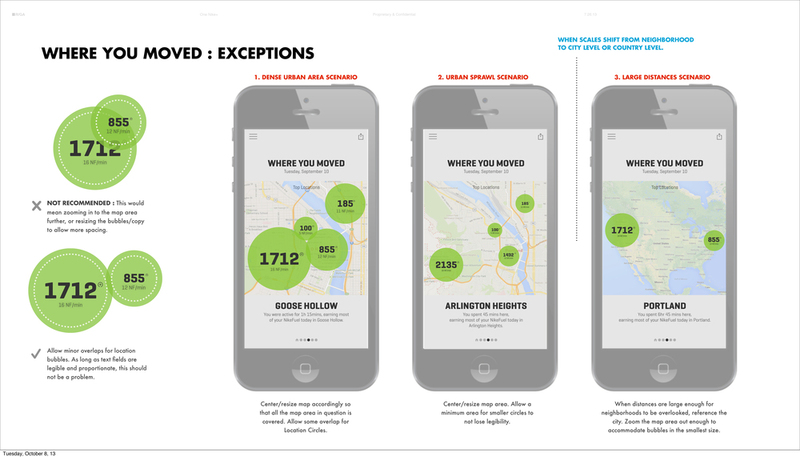 Nike+ Move was a close collaboration between Nike, Apple, R/GA and Synapticats. Nike+ Move was a free app for iPhone5S that made users move more using NikeFuel as a metric of activity. It tracked how much you moved a day, when, where and how you moved. It also connected with your Game Center friends to see who was most active. Early Home screen explorations. I don't believe that the craft of visual interaction design needs to be a rough, outline for an idea waiting to be colored by visual designers. In most of my work, I like being visual and letting experience design provoke thought and direction. An overview of the interaction process and states of the entire app. Early concept for the Move app were predominantly typographic. However this direction was found to be in too much contrast to the Nike+ Fuelband app.